Zapier is cool. 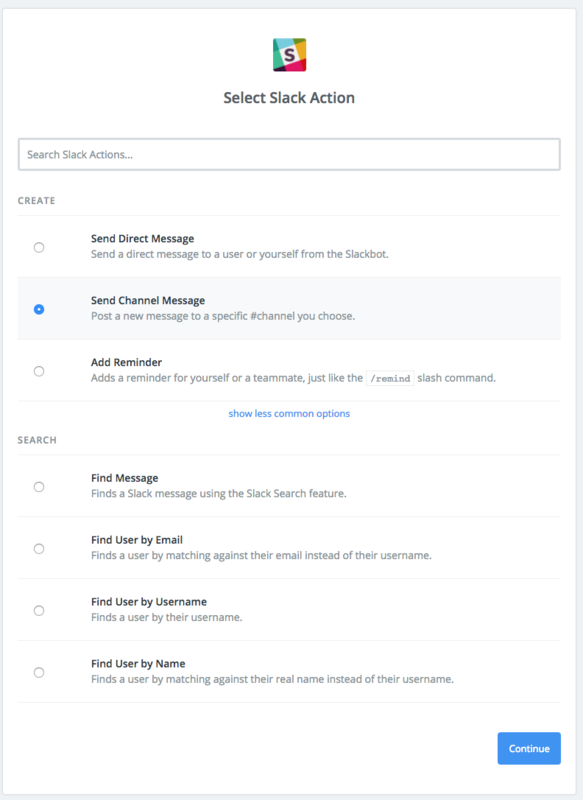 We use it at Crowdsync to automate a bunch of things, oftentimes, needing to post to a private channel on Slack to deliver some kind of notification. We’ve got a private support channel, and a private monitoring channel, letting us know when support requests come in, or when new users register, respectively. When we first set this up, I was kinda bummed. 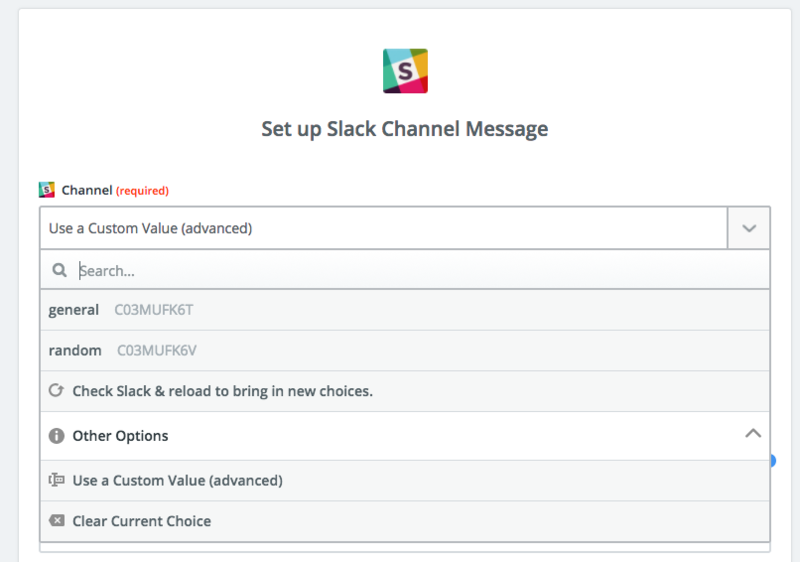 It didn’t look like Zapier would let you post to private channels on Slack. But, some experimentation led to a simple solution. After you’ve done that, you’ll setup this template. This is where you’ll choose the channel, but alas, I only see my public channels in the “Channel” list! Boom! You’re in business! Go ahead and set the rest of the template up and give it a test. You should now see your notifications coming into your private channels! 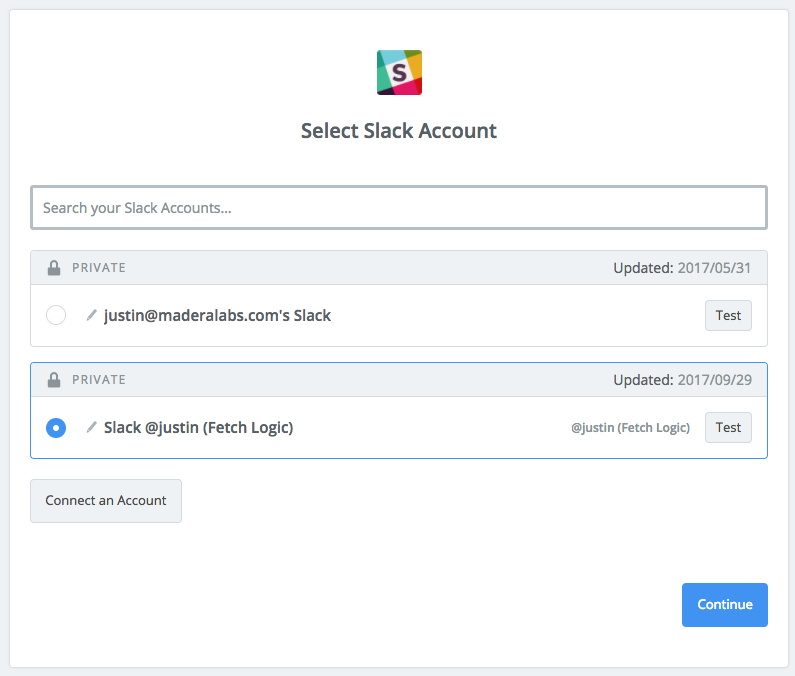 Hope this helps you be more productive with Zapier and Slack!